Watersport There are 6 products. We have one of the best locations for wakeboarding. The Nice Cote d'Azur airport is the perfect shelter to prevent the sea to become to wavy. Water as flat as land ! 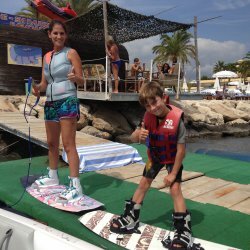 Discover our training courses in Water Skiing and Wakeboarding in Baie des Anges! One of the best spots in the French Riviera. 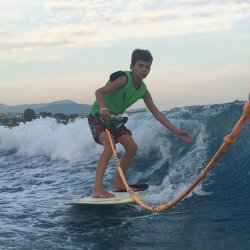 At the gates of Nice and Antibes, in the Alpes Maritimes, Wake Spot à Cagnes Sur Mer offers nautical activities during your summer stay. Exceptional lake! Progression guaranteed!